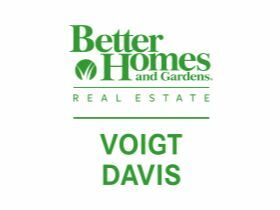 Voigt Davis, a longtime Idaho Falls real estate agency, has joined the Better Homes and Gardens Real Estate network. The company will remain under the leadership of owner John Tanner, broker Patricia Davis and partner Brian Thompson, who hope to benefit from the marketing resources the affiliation brings. In a press release, Tanner was quoted as saying it was important to align the agency, which has been in the community nearly 30 years, with a national brand name. The Better Homes and Gardens network brings digital tools and strategies that Voigt Davis hasn’t had before. “We are certain that the newfound technology proficiency and overall support will bring us to the next level of success,” he said. Headquartered in Madison, N.J., the Better Homes and Gardens Real Estate network has roughly 280 franchise agencies in 28 states, the District of Columbia and Canada, with 9,100 sales associates. Voigt Davis is the second franchisee in Idaho. If we think that we have tried everything in dove mountain Luxury Real Estate industry but no good results. Then we should think of reviewing our strategy for investments. Try to see what the competitors are doing.